August, FRIDAY, 19, 1864. still the same old story SATURDAY 20. recd. a letter from Asa. & [1?] from Jim Jackson Containing [2?] envelopes with a a sheet of paper in them [?] cts in one of them &. [?] 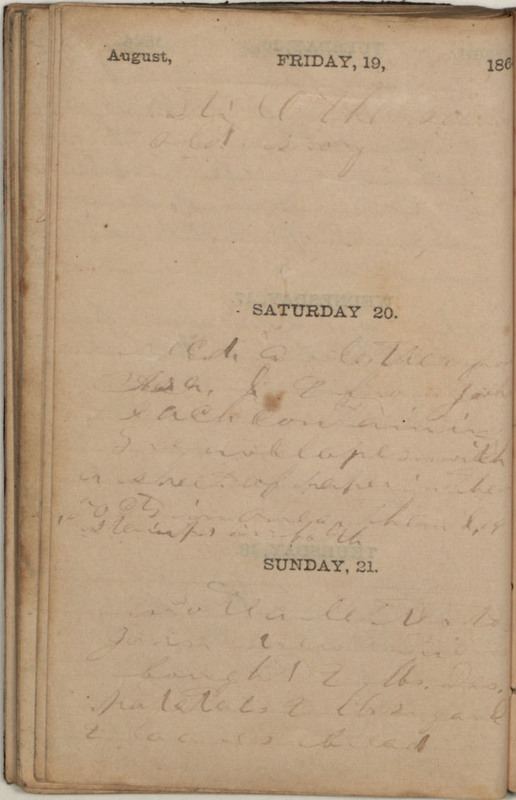 stamps in both SUNDAY, 21. wrote a letter to Jackson [?